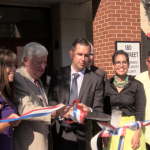 Bayonne Mayor Jimmy Davis was joined by officials from the Hudson County Schools of Technology for the grand opening of a new career center at City Hall. Steve Smith is the manager of the Hudson County One-Stop Career Center, which is part of the Hudson County Schools of Technology campus in Union City on John F. Kennedy Boulevard. He said that in addition to a variety of services that will be offered such as career counseling, job skills workshops and employability planning, the center will offer job placement. “Actually, job placement is included in lieu of our what we call our individual training agreements that we [have] with training contractors where if they don’t place you in a job 60 days after completion of your training program, we’ll hold back 25 percent of the tuition towards that student,” said Smith. 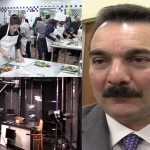 In an interview, we asked the Center’s Assistant Director Timothy Sheridan when and how will the center help Bayonne residents find employment. 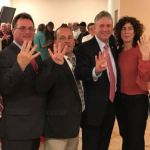 “We’ll be here in Bayonne on Tuesdays and Thursdays from 9:00 a.m. to 4:00 p.m.; anyone from Bayonne can come in and talk with one of the career counselors that is located in Room number 6 right next to the Mayor’s office and we’ll discuss the employability program,” Sheridan began. “We make a plan of action so that they go from step to step to step to learn how they are eligible, and how we can help them. [For example], are we putting them into training, are we doing a job search for them, are we helping them with resumes and are we helping them with interview techniques,” said Sheridan. 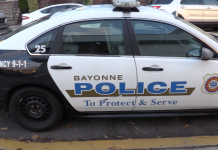 He noted also that a career counselor at the main campus in Union City will travel to Bayonne once per month to lead seminars that will instruct residents on the particulars of effective resume writing and job interviews. 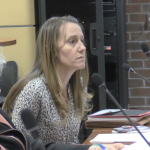 “Residents will participate in a one and half-hour resume seminar and [participate] in a mock interview process and advised on what to wear and what not to wear to an interview,” Sheridan said. 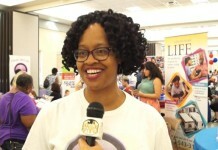 The new Center, as with the Union City campus, are part of the federally-funded (through the Department of Labor) American Job Center network, which is why the center would first need to get authorization from the federal entity to help residents’ utilize the center’s resources for new career opportunities. After cutting the ribbon to officially open the new center, Davis applauded the new initiative that he says builds upon his economic development projects such as luring Cotsco to the Peninsula City last spring and the construction of a large logistics center on the Bayonne Waterfront that the city says will bring 2,700 jobs. 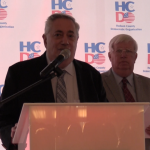 Hudson County Executive Tom DeGise said that although the government shutdown in Washington D.C. continues, Hudson County residents will benefit from a new jobs-search resource. 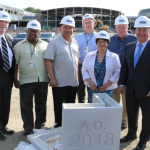 Furthermore, Acting Superintendent of the Hudson County Schools of Technology Amy Lin-Rodriguez said the centers will provide the vital guidance required in a competitive job market. “At Hudson County Schools of Technology, our goal is to provide students and job seekers of all ages with the educational resources they need to succeed,” she began. This is one of two career centers the HCST is opening this week: a new center will be opened in Harrison tomorrow.